We all joined the UN because we wanted to work for a good cause and believed in the huge value of volunteerism. We don’t do it for money or presitge. Volunteerism provides you with a sense of purpose or the feeling of being part of something larger than yourself. It provides you with an opportunity to contribute your part to good causes while at the same time learn new skills and meet amazing people. It allows you to touch people’s lives and to be part of the progress and development of your country and the whole world. Kiev, Ukraine: When I was five years old, I wanted to be the Pope. Later on, a doctor. In high school I was almost sure I would be a biologist, but then I got involved in the Model United Nations and various organizations promoting European integration, which shifted my interest towards politics. I studied international politics and European studies at the University of Economics in Prague. During my studies I worked for a youth organization, was active in a small political party, and worked for the Czech government in the area of EU affairs. One day a friend of mine sent me a link about the Czech Republic funding several UN Volunteer assignments every year. I always wanted to work for the United Nations, so I applied and was accepted. I served for a year in 2012 as a UN Volunteer with the Joint United Nations Programme on HIV/AIDS (UNAIDS) in Uzbekistan in the area of advocacy and communication, then became the UNV Programme Officer in the country, where I served from 2013 to 2015. 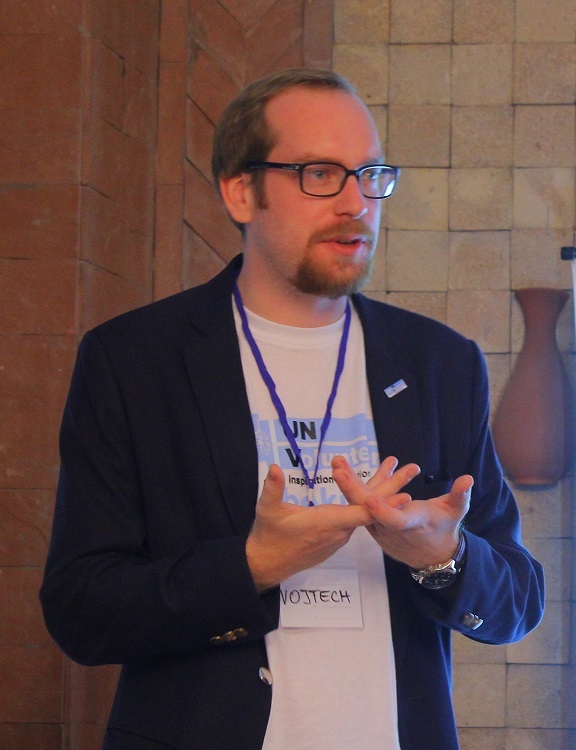 In 2015, I moved to Ukraine to serve as UNV Programme Officer. I am responsible for administering and supporting the serving UN Volunteers in Ukraine, hiring new ones, representing the programme in the country, building partnerships with the host government, civil society, other UN agencies and international organizations. My favourite activity is meeting young and motivated people from various civil society organizations. Also, meeting government officials who want to promote volunteerism values in their country is very rewarding. In Ukraine, I have met quite a few. The best part of being a UN Volunteer is that we all work in different agencies, but we have in common the fact that we are volunteers. There is always someone to support you, and you have a broader view of the UNs work in the country thanks to this second hat of being a UN Volunteer. Also, we all joined the UN because we wanted to work for a good cause and believed in the huge value of volunteerism. We dont do it for money or prestige. Changing just one life is worth it. Very often, not much is needed. Providing some simple diagnostic machine to a rural hospital can save a life. Sharing a good idea or a learning opportunity with someone might help a young student start a company or get into a university. Volunteerism provides you with a sense of purpose or the feeling of being part of something larger than yourself. It provides you with an opportunity to contribute your part to good causes while at the same time learn new skills and meet amazing people. It allows you to touch peoples lives and to be part of the progress and development of your country and the whole world. Large changes consist of many little steps taken by many dedicated people.